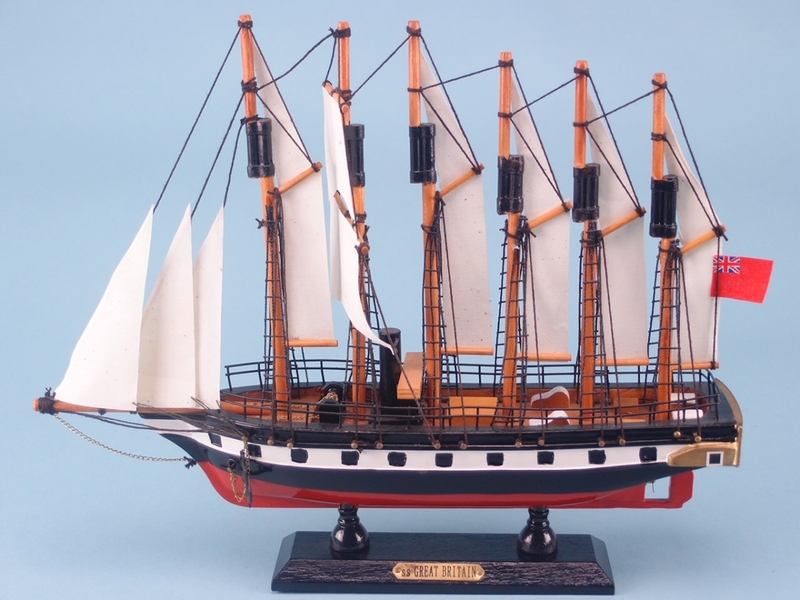 The SS Great Britain is a former passenger ship that was constructed in 1843. It was highly advanced for its time as it was the first ship to combine an iron hull with a propeller. She was also the first iron steamer to ever cross the Atlantic. This happened in 1845 and took 14 days. Now listed as part of the National Historic Fleet, the SS Great Britain is a museum ship in Bristol Harbour. 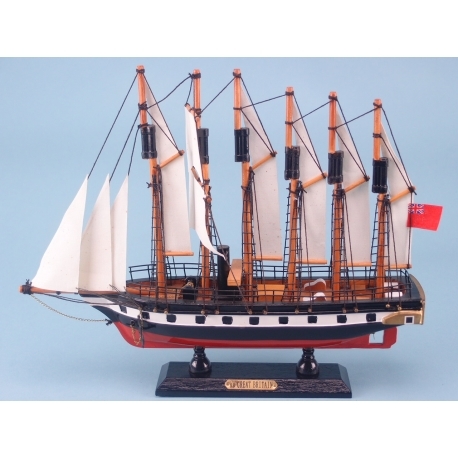 This high quality handmade model has been carefully crafted and would make a fantastic addition to a room.